Chaney Insurance Agency is a local West Virginia independent agency. The agency was formed in Montgomery in 1923. Greg Chaney has owned and operated the agency since 2008. In 2000, the agency moved from Front Street to 418 Fourth Avenue, its current location, following a major fire that destroyed the building. Today, Chaney Insurance Agency offers not one, but multiple carriers in personal lines of: auto(5), home(6), flood(3) and recreational vehicles(3) because we work to get the customer the best coverage for their dollar. On the business/commercial side of insurance, we are also a multiple line carrier with coverage for: retail stores, buildings, construction, trucking, and rental apartments or houses. If you have a similar risk that standard carriers won't insure such as vacant or aged buildings, tanning beds, mining operations, or special events, we have brokers that underwrite these risks as well. Call and talk to an insurance professional at 833-786-8387 or 304-442-2417. 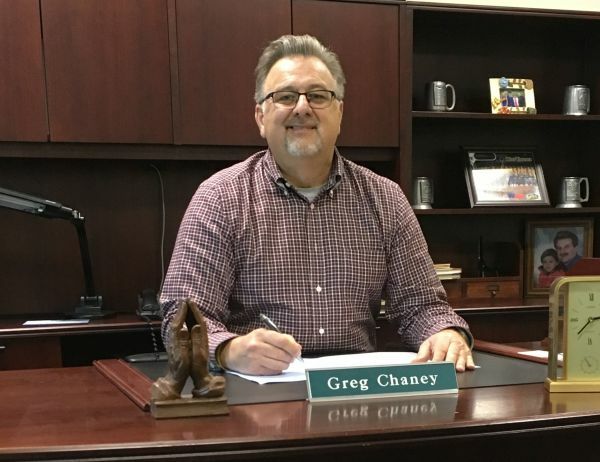 Greg Chaney is the principle agent for Chaney Insurance Agency, since 2008, although the agency was established in Montgomery, West Virginia in 1923. Greg's background is a B.A. graduate of West Virginia University. Upon graduation he explored a job opportunity in Denver, Colorado, where he worked as a consumer sales representative for three years. Then, after missing family and friends,he moved back to Charleston where he resides with his wife Leigh, and three children Ryan, Tyler and Kristin. His career goal in life was to own a business. A short time after moving back to Charleston, he began his career in the medical distribution business. Where, he had an opportunity to operate his own business, Chaney Medco. He operated this business for 22 years, until his company was bought out. Still wanting to be self employed, but wanted a new challenge. He decided to became a licensed insurance agent, in property and casualty, as well as, life and health. Presently, he owns Chaney Insurance Agency. Where he has serviced customers from Kanawha, Fayette, Nicholas, and surrounding counties. Although he manages all types of insurance, his specialty has become commercial insurance, mainly focusing on small to medium sizes business. Where his entrepreneur experience can assist other business owners needing advice on their insurance needs. His personal interest is enjoying time with family, what ever it may be, as well as golf, cycling, and following Mountaineer sports.